I have a treasury display at Etsy for 3 days called: Pretty Women Wearing Pretty Things, http://www.etsy.com/treasury_list.php?room_id=26078 Please visit and click on the items, you will see very pretty women, nice clothing and accessories and that will make my treasury more popular! 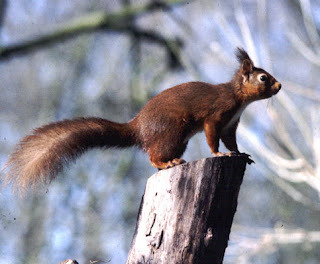 "Red squirrels are the only squirrel native to the British Isles. They are disappearing from the mainland fast and are being replaced by the introduced American grey squirrel. The Isle of Wight is an important stronghold as the Solent provides a barrier to grey squirrels. However a grey does find it’s way to the Island sometimes, so we need to be vigilant. There are contingency plans for dealing with greys that arrive on the Isle of Wight. Not only do grey squirrels outcompete reds, they carry the deadly parapox virus, which is fatal to the reds. " The red squirrel is in danger of extinction somehow the American Grey Squirrel was introduced and are taking over. This put in question so many of my animal rights beliefs. It is LEGAL to trap and kill the American Grey Squirrel in the United Kingdom. I am an super duper animal rights believer and I am on the fence about this issue. It also in turn puts in question my previous stance on hispanic immigration to the U.S.A., the Palestine Israeli thing, the rights of indigeonous peoples...... my goodness, it opened up a floodwork of things that I had never questioned before. Not that the Isle of Wight has anything to do with those other things but apparently they were stirring in my subconcious and somehow the plight of the red squirrel served as a catalyst. Since this is not a political blog and I don't want it to become one I will just leave it at that. But I am now finishing my latest creation, the Isle of Wight Shawl. Inspired by all of the things I read about the Isle of Wight and the emotions it stirred in me. The sea, the green grass, the crisp melancholy winters........ See my shop for the finished product!